These savory Sautéed chicken bites are a quick, easy, healthy week night recipe. Seasonings can be adjusted as desired. It takes just 30 minutes to whip up this amazing meal. Perfect served with rice or a tasty vegetable side dish. Cut tenderloins to desired size, keeping them as uniform as possible. Mix salt, pepper, onion powder, garlic powder and paprika in a separate container. Add seasonings to the chicken pieces, evenly covering each piece. For best flavor let chicken sit in seasoning for about 10-15 minutes. Add olive oil to pre-heated pan. 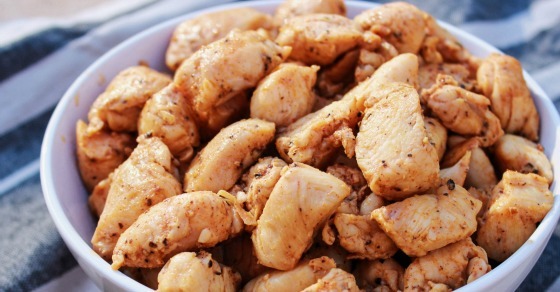 Place chicken pieces evenly on pan, allow to cook stirring occasionally until chicken is lightly browned and cooked all the way through. Mix salt, pepper, onion powder, garlic powder and paprika in a separate container. Add seasonings to the chicken pieces, evenly covering each piece. 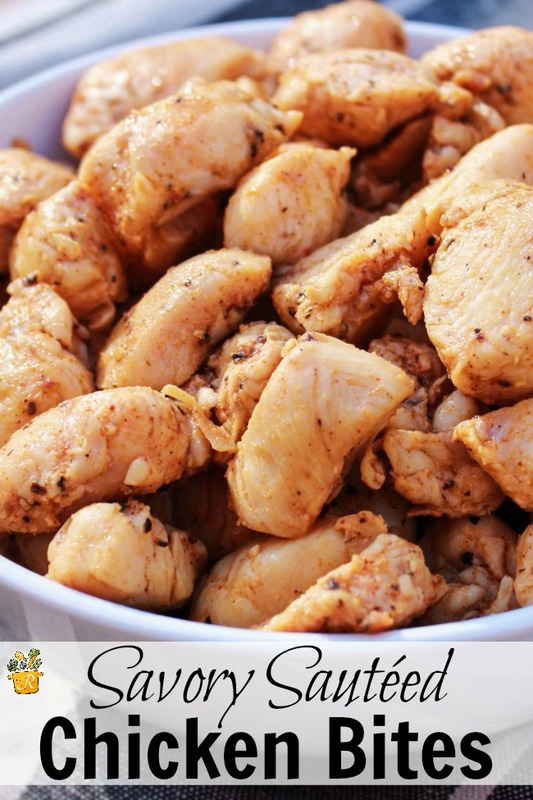 This chicken could be served alone as an entree or used as a flavorful salad topping or mixed in to a variety of other dishes that call for pieces of chicken. This is a simple recipe that can add an extra kick to so many recipes!